Sky is still being urged to join the YouView platform and launch its own Sky Player VOD service on the BBC-backed IPTV project. Despite its fierce opposition to the YouView platform, Sky has been very careful not to exclude the opportunity to sell its content should the platform be a success. And executives at YouView have made it abundantly clear that they would love Sky to be involved in some way. 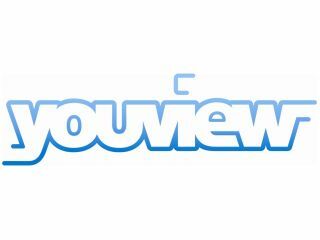 Speaking at a Broadcast Journalist Guild event YouView chairman Kip Meek explained that, although new partners would not be accepted until after the 2011 launch, Sky would be welcomed with open arms. "It would be great, fantastic, if Sky came on board," said Meek.
" I haven't had talks, but [YouView chief executive] Richard [Halton] has had talks. Sky has to make their own decision like any other affiliate organisation. "We would be delighted to have them on board, but not as a shareholder. "The situation with shareholders is that it is possible that at some point in the future we would contemplate adding to the shareholder group, but the shareholders have agreed that that is a distraction until launch has happened." For Sky, and many other content providers, to consider the platform, a more cohesive payment method may have to be considered – but Meek and the YouView board are already thinking about this. "It is possible to pay for services," added Meek. "One of the things that's interesting to think about is do we need a common payment mechanism across the platform? "We haven't developed that and at the moment that's left to individual service providers, but you could imagine some sort of Paypal-type thing developing."